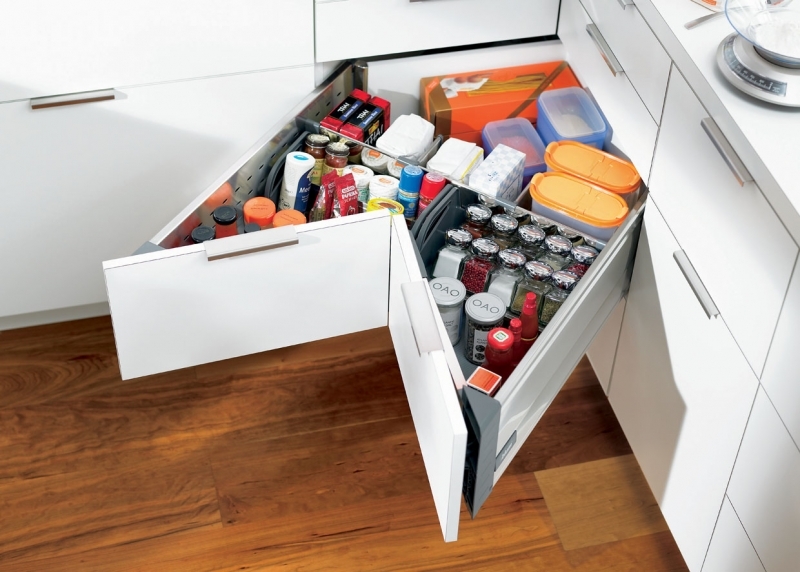 The space available in the corner is often used infrequently or inefficiently. 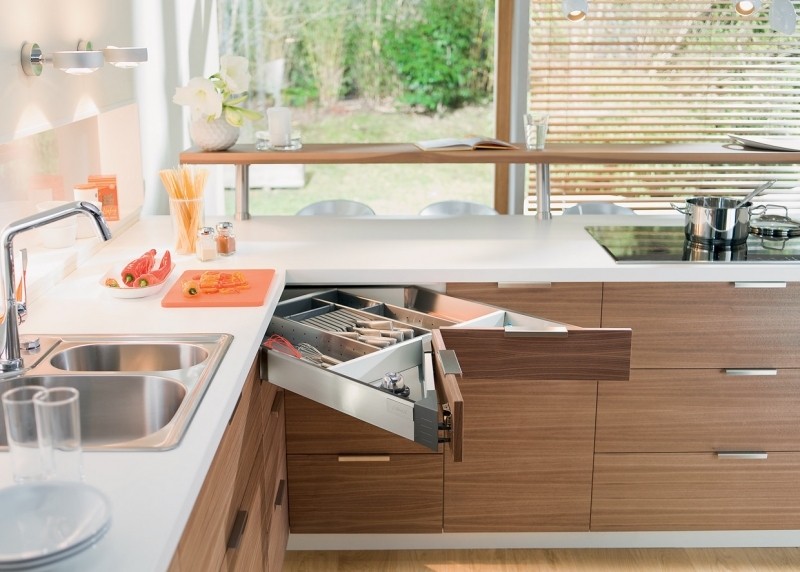 A user-friendly alternative to conventional corner solutions is the SPACE CORNER from Blum. 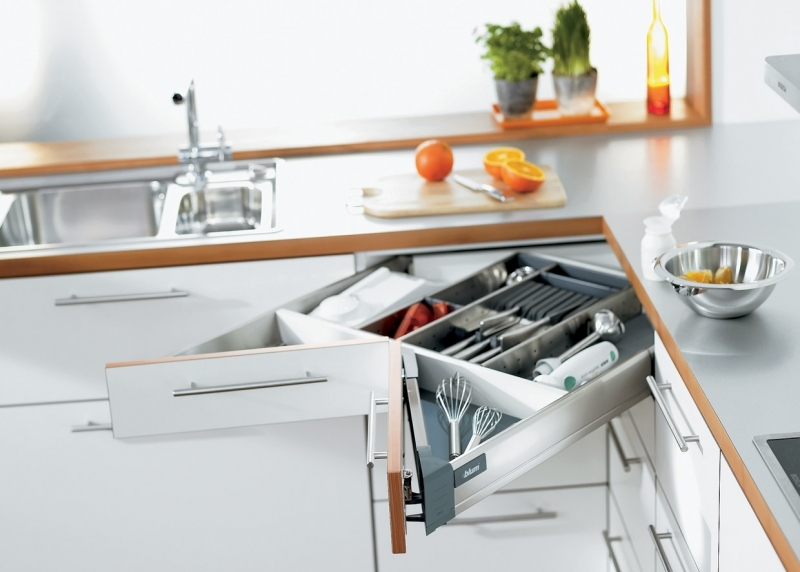 By using these drawers the space is used optimally and items can be reached easily without bending. 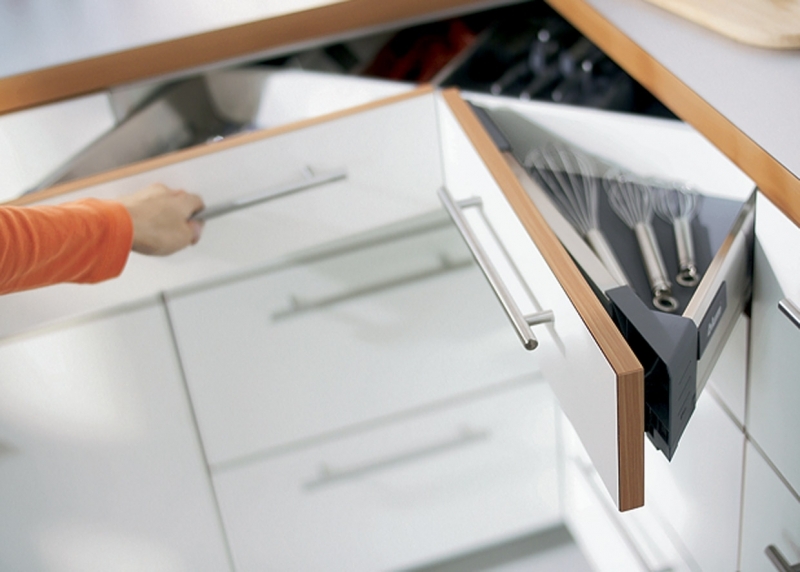 This ensures that kitchen utensils and other items are always within easy reach and are exactly where they are needed.